In my last article I received a couple of queries where I found the readers are perplexed about the mechanism being implemented by euro to fight out the debt. 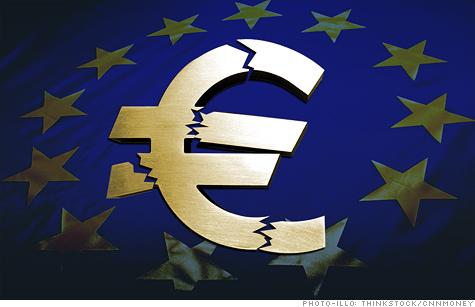 European commission has formed two mechanisms to deal with falling debt burden. European Financial Stability Fund is the fund which has been built by the 27 members of the Eurozone to fight out the sovereign crisis. On 9th March 2010 the 27 euro nations gave birth to EFSF.EFSF was authorized to borrow upto €440 billion. At present out of this €440 billion only €250 billion have remained available after the Irish and Portuguese bailout being executed .EFSF funding mechanism will be based upon issue bonds or other debt instruments backed by the by guarantees given by the euro area member states in proportion to their share in the paid-up capital of the European Central Bank (ECB).In the below chart the paid up capital details of the member states are given clearly. The amounts are based on the European Central Bank capital key weightings. The next vehicle is called European Financial Stability Mechanism. This is an emergency fund which was built based upon the funds raised on the financial markets guaranteed by the European commission by pledging the budget of the Euro nations as collateral. Now pledging the budget of the Euro nations as a collateral means that the extent to which the euro nations will cut down on budgets depending upon that the funds will be paid by EFSM to Member states. Now cut down on budget expenditures will result to prolonged crisis for the Euro nations in terms of GDP growth. Less government spending is going to result prolonged job losses and cut downs, low consumption and less manufacturing to happen. This will further increase the burden of the Euro member states regarding their income generation from taxes and other government avenues. So, where growth of the Euro economy is being foreseen in the near future is the question in demand. Unemployment benefits numbers are going to increase despite of government cut down in the expenditure. Eurozone unemployment has risen to its highest level since the euro single currency was introduced. Seasonally adjusted unemployment among the 17 countries sharing the euro rose to 10.4pc in December. The number of Europeans out of work has risen to 16.5 million people, with another 20,000 people without a job in December from the month before. Unemployment in Spain reached a new high of 22.9pc in November and December. In Greece, joblessness was 19.2pc for October, the latest data available. Unemployment reached 13.6pc in Portugal in the final month of 2011. The emerging economies find significant low hope for any revival in the export market of these countries. Low consumption in their own economies will result to reverse flow of goods to other countries. European manufacturing will scout for emerging economies to dump their products. Europe will be able to find out ways to bailout the debt but it will not find the growth. Its asset qualities will be devalued more in coming days resulting huge NPA on the lap of Euro nation. At the same time Dollar will try and trying very hard to replace Euro. Dollar is now being treated more as a safe heaven for investments rather than Euro. Dollar remains highly popular as the refuge currency of choice. With virtually no yields available with short term Treasuries followed with low yields with medium term to long term Treasuries of US dollar still is the most favored currency and it will continue to be. My concerns are about the emerging economies. As an economist I will find domestic policy changes in the emerging economies will derive the growth. Globalization is no longer the growth vehicle for the next decade. If today Indian government comes out with radical policy changes, even if it comes out with the Bills which are waiting in the Parliament for approval, Indian economy will find significant growth and the government will be able to reduce its fiscal deficit gap. Well we all know the above the truth but where we fail to identify is the matter of quest. Indian cannot depend on export growth. We need policies to replace which will replace the Indian import market to domestic production. Domestic capacity expansion and more consumer centric polices will boost up growth. Increasing tax rates will only reduce consumption and hence less manufacturing opportunities .Interest rates, Taxes are old mechanism to find growth in Indian economy. Today RBI went for a CRR cut which was expected but went expecting suddenly for the market. Well Currently RBI has reduced the CRR from 6% to 5.5% which will lead to inflow of Rs.32000cr in to the banks pockets. Now market speculators will turn out the meaning that RBI has injected money for lending into the system. But I am sorry to make an analysis that RBI has injected the money in order to make Banks adjust their Balance sheet against rising NPA. Further this will help them to manage the tier I capital norms of the banks after the implementation of Basel III. WILL IT BE INFLATION SUPPORT? In my research find RBI steps of actions towards monetary balance is very much in line with India’s economic growth. I don’t find any reason why RBI should reduce the repo rates and the reverse repo rates. It is very much premature to roll back the repo rates as inflation is still way above the danger zone. Even I find that this CRR might go for spooking up the inflation devil acting as a steroid. Since the thumb rule` of CRR is that when inflation rises CRR is the common weapon used to control inflation. Reduction of CRR will give Rs 32000 cr to banks to lend but they will not lend and further even if it’s being given for lending Indian corporate still finds its high cost of loans. RBI has made one thing very clear that its policies will depend and will be designed depending upon the policy actions required for the Governments. The present scenario of the economy does not support for repo rate cuts. Since NPA are increasing and that is backed by lack of policy actions from the governments .Government has borrowed too much and this has spooked the system with funds and resulting increase in inflation. 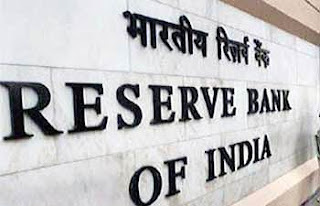 Currently the Government of India will borrow Rs 400 billion more than its revised borrowing target of Rs 4.7 trillion in the bond market by March for the current financial year 2011-12.Hence RBI actions regarding repo rates are next to negligible. India needs policies to draw investments and then only repo rates real action can be found. If currently RBI goes for an repo rate reduction then the liquidity will find ways into the existing business environment and not into new projects. Further RBI has reduced the outlook for india’s GDP growth from 7.6% to 7% which eliminates the scope of repo rate cuts in the near future. If today the government of India comes up with New land Acquisition Bill, DTC, GST, New Companies bill 2011 then repo rates reduction will not be required to find India’s economic growth. Moreover all these new bills will open up investment opportunities, consumption and savings of the economy resulting a boost to RBI policy actions. This will also help RBI to design new money market instruments. Gross Fixed Capital Formation is one of the most important part where the growth of an economy van be calculated. Historically it’s being found that the Gross capital formation (% of GDP) in India was last reported at 34.77 in 2010, according to a World Bank report released in 2011. The Gross capital formation (% of GDP) in India was 36.48 in 2009, according to a World Bank report, published in 2010. The Gross capital formation (% of GDP) in India was reported at 34.52 in 2008, according to the World Bank .Now this new term might sound quite tough. Hence to put it into simple words Gross Capital Formation means (formerly gross domestic investment) consists of outlays on additions to the fixed assets of the economy plus net changes in the level of inventories. Fixed assets include land improvements (fences, ditches, drains, and so on); plant, machinery, and equipment purchases; and the construction of roads, railways, and the like, including schools, offices, hospitals, private residential dwellings, and commercial and industrial buildings. Inventories are stocks of goods.The chart shows the gross capital formation. RBI DONT PLAY T20 SO DONT EXPECT. Moreover the recent global turmoil and rupee depreciation needs to tackle only by RBI hence it needs space for managing those aspects of the economy. Moreover RBI needs more time to watch out the flow of liquidity from FDI and FII. In the last 6 months both the investments avenues has dried up due to global uncertainties as a result injection of liquidity into system by RBI has an long way to go. Present market pressure is nothing compared the envisaged possible impacts the economy might face.RBI has to play a long innings and hence T20 expectation should not be made.RBI is not the real market player. If India needs an GDP growth of 8% policy comes first. India needs theory and not mathematics (Repo rates) for GDP growth of 8%. In an my recent interaction with one of the company who is into economic research I find that the Senior economist working over there are only working hard on rate policy reasoning and denies policy discussion is an part or role of the economist work. Well with the blessing of this senior economist I find India is took 20 years to dream GDP growth of 8%.I will not name the company but I pity on their thinking. Global economic turmoil has resulted huge jump in merger and acquisitions. Huge debt, cash strapped operations, no consumer market products, and decline in government support (incentives, subsidies etc) has increased the asset sales across the globe. 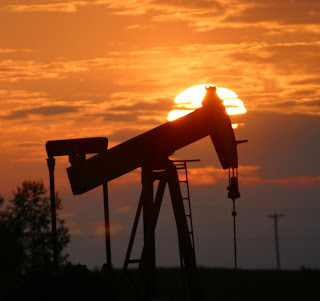 The objective of this article is to dig out the scope of cheap properties of oil exploration across the globe. It has been found that after 2008 debacle their is a significant rise in Quality Bad Assets. Now the term itself will sound new but it means that before 2008 the assets were of best quality but financial crunch has converted them into Bad Assets despite of their Best Quality. Among the several industries oil exploration industry is one of them which turned out to be a mouthwatering opportunity for investments. Sunoco Inc an oil refinery which produces oils around 175,000-barrel-per-day and another refinery at Philadelphia which produces 330,000-barrel-per-day has been shut down due to weak and unacceptable financial performance over the last few quarters. ConocoPhillips another refinery which remained idled with a capacity of production of 185,000-barrel-per-day was also shut down. The prime reason for shut down being of various pressures from product imports, a decline in demand and the cost of regulatory requirements. In this week we find another refinery plant Hovensa LLC is planning to shut down its refinery and convert it into an oil storage terminal. Weak demand and competition from foreign refinery has compelled to take these actions. By now you must have understood why these assets are going for an sale tag. But the main reason is global competition which has turned out be a very competitive. Many refineries in the US and Europe are up for sale or are in financial distress. Despite of all efforts refineries in these countries are losing around more than $800 million in the past three years and significant losses continue to mount in coming years. NASDAQ and the Wall Street Journal reported that refining operations at Bakersfield were suspended for at least a month for economic reasons. Taking a toll in other parts of the economy we find South Africa was recently hit by sporadic fuel shortages caused by the unplanned shut down of fuel refineries. Apart from financial problems the refineries are getting shut due to environmental issues. Moreover shift in the quality of crude oil that refiners have to process. On average, crude oil production is becoming heavier and sourer (containing more sulphur). Heavy, sour crudes are more difficult to process and yield more heavy products, which need additional processing and reducing the competition with other countries. Earlier the share of light products and middle distillates in global oil consumption has risen from 65% in the early 1980s to 80% today. An uncertainty over ROCE in refinery business has eradicated the growth prospects and sustainability of the refinery plants. For the top five gas companies operating in the United States, their profit margin was 6.65% between 2006 and 2010.Abiding the environmental issues has resulted an outflow of $116 billion in their facilities since 1990. Issue like of obtaining the raw product and refining turns out be one of the biggest hurdles. Raw material which is sensitive to international political climates has kept huge pressure on the operating margins. This industry remains silent despite of its eye popping M&A. 1322 oil and gas transactions were announced in 2011, an increase of more than 5% when compared to 2010. The aggregate value of oil and gas transactions in the year totaled US$317b. It has found that the numbers of deals are getting increased with a drop in value per M&A. In 2010, there were 76 oil and gas transactions valued in excess of US$1b; in 2011 this figure had declined to 71.Among the several markets the North America, accounting for 562 deals or 43%, remained the most active market in refinery business M&A. I find a significant opportunity for emerging economies to invest in these oil refineries and turn them into a gold mine. Moreover the demand of ethanol and inclusion of ethanol into the gasoline stream has taken a sizable chunk out of the petroleum market. In a recent note it has been found that Saudi Arabia is doing extensive investments to build refineries in China and Indonesia of around $200 billion Philippine oil refiner to invest in ExxonMobil’s downstream business in Malaysia. Hence Emerging economies PE can find a significant opportunity to do invetsment5s in this industry. The objective of this article is to find out the hidden time bomb of Euro zone be which will derail the world economic growth in 2012. 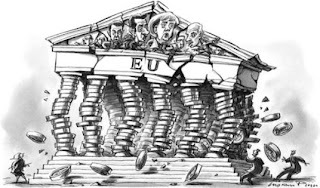 Just three weeks of the new year of 2012 and it seems that the Europe is slowly landing to resolve its debt problems. The world is thinking that words of IMF and ECB have resolved the debt problem of the European economy. In fact this has also lead Euro zone to sell its debt and find investors’ appetite for its bonds. Even the recent downgrade by S&P of the nine states of Euro zone has been shrugged off by the Euro zone. All these are with stark contrast to last month of 2011 where majority of the Euro zone was struggling to meet their debt obligations as the cost of managing the debt climbed higher and even the governments of Athens and Rome went for a tailspin. A quick glance at the debt executed by the Euro zone nations. • Portuguese successfully sold euro 2.5 billion of its national debt. • Spain raised euro6.6 billion ($8.5 billion), far more than its initial target of euro3.5 billion to euro4.5 billion. Well it depicts that euro was able to find more stable sell of its bonds after the rating made by S&P. Euro zone found comfort in selling of its bonds since ECB has backed or rather has tempted to carry out the buys. In December ECB said that it will lend unlimited amounts of money to stabilize the Euro Zone. In December, the ECB said it would lend banks unlimited amounts of money to stabilize them. Further it also added that it will also lower the interest rate on the loans to 1%, and even extended the maximum term of the loan period from 1 year to 3 years. Well this was enough to tempt the banks to raise funds and invest the same in the bonds and hence making an internal trade profit. Banks borrowed around euro489 billion ($632.6 billion) at 1% interest rates for a period of 3 years. European banks has used the funds to buy bonds at cheap funds from ECB and buying higher yield carrying sovereign bonds, resulting profit for the banks as an recapitalization mechanisms and that is also at the expense of taxpayers expenses. That’s, why the world is thinking the debt problem of Euro Zone is solved. But practically it cannot be solved even within a decade even. I would like to make a warning note to all my readers that the first half of 2012 will bring crash for the world market and lot of intense time of testing nerves of investors and every one as Europe is about explode its debt burden. Euro zone will find a debt maturity of around €770bn in the first 6 months of 2012.To add more pain Euro zone banks will find another €520bn of debt coming due by this June. Just five euro zone countries Italy, Spain, Ireland, Portugal and Greece – have around €200bn of debt maturing between now and April. Well clubbing altogether its stands around €1 trillion repayment schedule to explode by June 2012. The biggest problem is that banks are reluctant to release their original liabilities positions. Euro zone will begging severely to china, IMF and ECB to funds its debt payment. This also raises questions about the Euro zone banks stress Test reports. Further from 2012 all banks have to abide with the Basel III norms and by now we find many banks and think tanks of the world has started raising questions about the mechanism by which the "tier-one" capital ratios have been calculated. It has been found that Euro zone will need around 1 trillion dollars to solve the debt problems and chances of funding are negligible. More over the European banks depends heavily on traditional ways of raising funds which at present is of no use. I find outflow of funds from emerging economies is about to begin since requirements of funds will be prime battle. More over who ever goes for buyout and any mechanism of funding will result to outflow of dollar from all the risky assets. Well for the time being the world stock market is riding up again. Stock indexes in Britain, France, Germany, Italy and Spain along the Dow Jones industrial average in the United States has climbed back close to their levels from last August. In my research I have found that historically when ever any economy has been downgraded the market reacts opposite to that negativism. When Moody downgraded Japan in November 1998, for example, Japanese shares surged by more than 26% in the subsequent 12 months. When Canada lost its AAA credit rating in 1992, its equities gained 30% in the next year. And since the United States was taken down a notch by S.& P. last August, the S.& P. 500 has gained more than 9%. Well for now it might be an opportunity of the investors to exit and make over their losses of 2011 to some extent and press the button of exit for 2012 till Europe gives a clear signal. No other technical chart of astronomic algebraic calculation is required to find the direction of world market. Europe alone is the biggest signal. Emerging economies needs to formulate policies internally to derive growth otherwise prolonged slow growth will kill the world economy. More importantly I will request the financial market product designers to design products for the senior citizens since they are going to be the worst affected. I will not be surprised that in 2012 we will find many times World GDP growth to be sliced off further. Well ECB will offer it’s another credit facility slated for 28th Feb 2012.Till then it’s time to shop out and not shop in. China promised to support the North Koreans in the event of a war against South Korea. The Chinese support created a deep division between the Korean communities. It might sound strange from where did this come off. Well it is the story of the China and the Korea war where china supported North Korea to fight against South Korea in the year of 1950. China is amending its old broken relationships with various nations. It is busy in formulating political strategies of erasing the mistakes crept in the history. Recently Chinese polices for its economic growth have been focused within the Asian economies. China is now building new relationships with South Korea. SEOUL—Sovereign wealth fund Korea Investment Corp has received final order to diversify their savings and investments into the roads of china. They will purchases Chinese Class A shares and bonds. The Korean investments corp has received its Qualified Foreign Institutional Investor license. It is now waiting only for the Chinese authorities to set its investment quota. The BOK and the Korean National Pension Service are the ones who will get the license to move ahead with an historic investment which will begin sometime in 2012.The prime reason behind such an investment opportunity being opened by China is to stop the East Asian economies from doing investment into dollar related asset classes. China is moving to allow greater foreign investment in its local capital markets, and attracting longer-term investors such as KIC, the BOK and the NPS—the world's fourth-largest pension fund by assets. 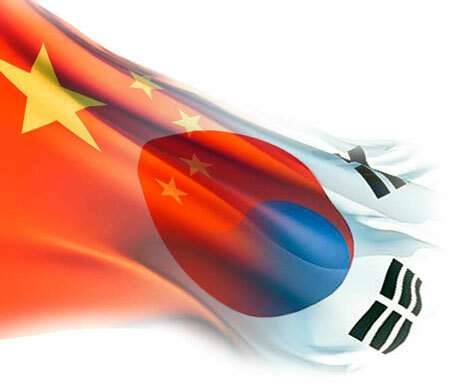 China is expected to allow all three Korean institutions to start investing in yuan-denominated bonds and stocks. Mark the point no dollar term investments being allowed reveals that China is moving according to the planned game of making yen an trading currency. I have depicted this story many times in my previous articles that China will make Yen another trading currency apart from dollar. For the time being KIC, which managed roughly $41.5 billion in assets as at end-2011 has been provide the $200 million quota at the start which is according to the rules of being qualified as an QFII. This limit will increase further going ahead. At the same time china is shifting the focus of East Asian economies from doing investments in Europe and US assets which posse and significant threat to these debt laden economies. It seems that china is going to make the recovery process of Europe and US very difficult and challenging. In my research I have further drilled out that according to the data from State Administration of Foreign Exchange till late December china has allowed $950 million in new investment quotas to QFII license holders since October. This has put the total amount of foreign capital that can be invested in Chinese markets to $21.64 billion. Well china is going steady with its plans of making Yen and trading currency and other economies are also behind the silent support.